Why is Toyota Called Toyota? There is not a more popular car in the world than the Toyota Corolla. With 44.1 million units sold, only the Ford F-Series, at 40 million units, even comes close. Debuting in 1966, the Corolla quickly became one of the most affordable, reliable and sought-after models on the global market and confirmed the appeal of Japanese-made automobiles in the latter half of the twentieth century. Toyota has always taken their brand and model names seriously. 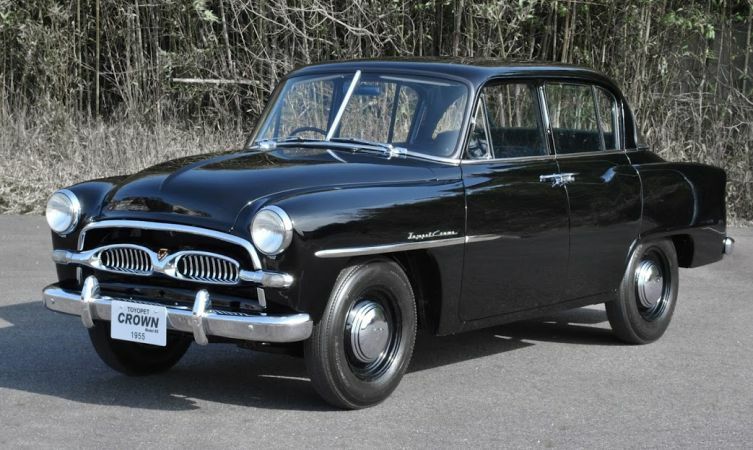 Many of their older models took their lead from the Toyota Crown, a 1955 sedan, which was the company’s first car exported to the U.S. In keeping with their “royal” ethos, in 1957, Toyota produced the Corona, which was a smaller version of the Crown and in Latin means crown. There was the Camry, which debuted in 1982, and is a version of the Japanese phrase kanmuri, which means “little crown.” And then there’s the Corolla, which is the technical term for the petals surrounding a flower, but is also the name for an ancient wreath that was worn on Roman’s heads during certain religious ceremonies—in short, a crown. It’s obvious that Toyota considers its most popular models to be the jewels in their crown, but how did the company get its universally recognized name? 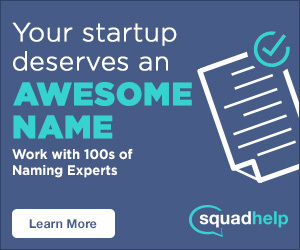 Most people think that it’s the last name of the company’s founder and they’re almost right. The brand is only one letter shy of its creator’s name. Why is it called Toyota? 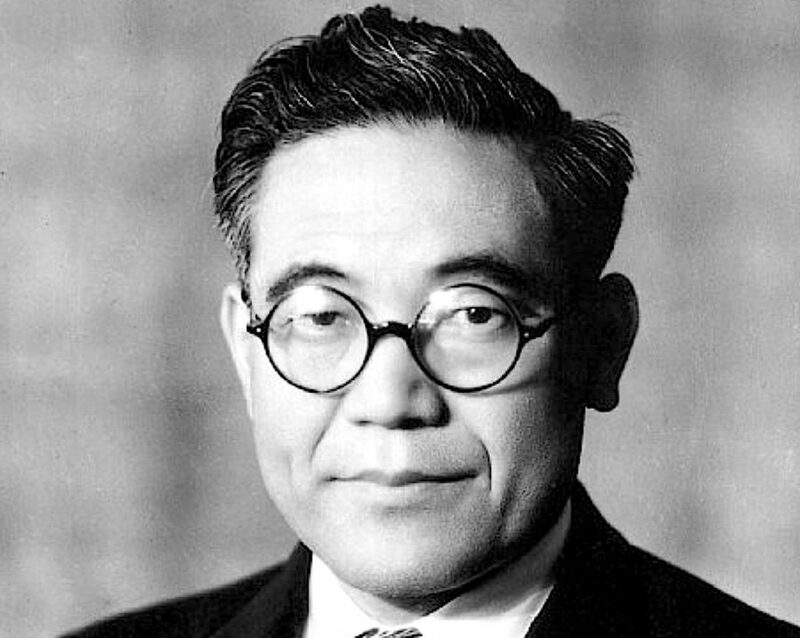 Kiichiro Toyoda was born in Japan on June 11, 1894. He was the son of Sakichi Toyoda, the owner of the Toyoda Loom Works, who founded the Toyoda company in 1926. Sakichi invented a number of industrial-sized looms that were able to manufacture textiles at a much quicker rate than the machines at that time. Though the Toyoda Loom Works was very successful, Kiichiro wanted to make a name for himself, while still helping out the family business. So in 1937, he officially established the Toyota Motor Co. Ltd. His reasons for dropping the “d” and adding the “t” were small but serendipitous and exemplified the meticulousness that Toyota has brought to all of their products. In 1936, when Kiichiro was searching for a new name for his automotive wing, he held a competition in Japan, which reportedly received around 27,000 submissions. Toyota was an early contender because of how many brush strokes it took to write in katakana. In Japan, the number 8, which is written like this: 八 is particularly significant. Many people believe this is because the shape of the number broadens at its base, which symbolizes growth, abundance, and prosperity. The symbol for Toyota, in katakana, is written like this: トヨタ, while the family name is written this way: トヨダ. These symbols might not look so different to those not familiar with the Japanese language, but the Toyoda name takes 10 strokes to write, while the Toyota brand name takes exactly 8. Apparently, because of this fortuitous coincidence and the fact that Toyota, with a “t,” had a nicer ring to it, Kiichiro dropped the “d” from his family name and the second-largest car manufacturer in the world was born. Can you think of any other brands that were chosen because the company thought it would bring them good luck?